You Shouldn’t Be Afraid To Belly Laugh! Ahhh, the elusive PELVIC FLOOR. A strange word combination which is such a foreign subject to so many of us! There are SO many myths and old-wives tales surround where it is, what it does, and how to make your pelvic floor stronger than ever — no one should be afraid of weeing themselves whenever they sneeze! We’ve asked one of our fave people in the world to break down the myths for you, so your pelvic floor IQ goes through the roof! Adelady :: What is it? Magda :: Your pelvic floor is not one muscle; it’s a set of them in a sheet as wide as your hips, running from the pubic bone to the tailbone. It supports the bladder, uterus and bowel in women and bladder and bowel in men. Adelady :: Why is your pelvic floor important? Magda :: There are three main functions of the pelvic floor muscles: to support your abdominal and pelvic organs, to be able to contract so you can maintain continence or relax so you can go to the toilet, and they also have a role in sexual function. The functions of the pelvic floor muscles are performed by contraction and relaxation, which are both super important skills to have! Adelady :: Only women need to worry about their pelvic floor muscles, right? Magda :: If you’re a male, performing pelvic floor muscle exercises after prostate surgery is vital to your recovery — it’s these muscles that help you control your bladder. Adelady :: You only need to start worrying about your pelvic floor when you’re pregnant. Magda :: Sadly, scientific studies demonstrate that pelvic floor dysfunction is a common problem and it is strongly linked not only to childbirth but also to ageing, obesity and the associated straining of chronic constipation. 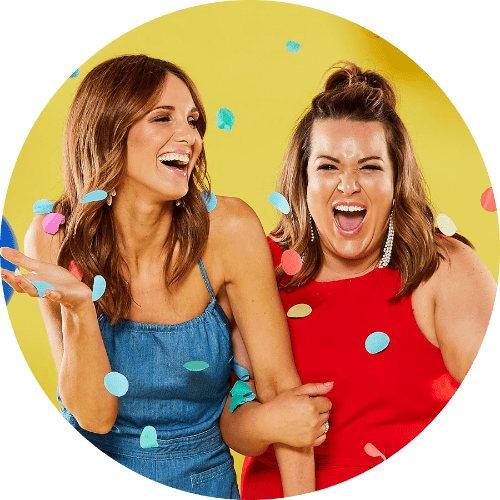 1 in 3 Australian women experience pelvic floor dysfunction – so not just for when you’re preggo! Adelady :: How the HELL do I find my pelvic floor if I can’t see it? Magda :: To identify the pelvic floor muscles, stop the stream of urination midway. If you can do that, then you’ve found them. Congratulations! And then never do it again. Some people think this is a healthy and normal way to exercise your pelvic floor. Let’s bust that myth right now — IT IS NOT! Constantly stopping the urinary flow when going to the bathroom, and not emptying the bladder entirely can lead to urinary tract infections. Adelady :: So, I want my pelvic floor to be super strong? Magda :: Pelvic floor muscles (like any other muscles) must be able to contract AND relax. Although you don’t see them, like the rest of the body, you want them feeling and “looking” good i.e. limber and responsive to your bodily functions. A too strong pelvic floor is as problematic as a weak one! Magda :: It is not immediately easy to exercise the pelvic floor correctly. Getting professional help and performing specific exercises for your circumstances is very important to make sure you apply effective technique and you don’t overtrain. Once you understand your body you can continue the exercises at home in your own time. Adelady :: A weak pelvic floor is not the only reason for a little bit of leakage. Magda :: There are two types of urinary incontinences – stress incontinence (where you leak a little when you do things like cough or exercise) and urge incontinence (where you can’t hold your urine in before you can get to the loo). Both of these can develop post pregnancy. The second problem is related to pressure in the bladder, not the pelvic floor, so strength exercises might not help. Instead, see your GP who can give you advice on bladder retraining. Adelady :: Prevention is better than cure. Magda :: If you don’t have a pelvic floor problem, then stay active anyway and make sure you include them in your routine exercises. It’s a great idea to keep these muscles awake and alive – particularly if you plan a pregnancy or you are pregnant. Kegel exercises are normally prescribed for postnatal care but can be just as good for everybody else too. Make sure you get help from a professional and avoid “devices” bought from the Internet – there’s no need to “gameify” your Kegels. Adelady :: Don’t force it, ladies. Magda :: If you are at risk (prenatal or postnatal) or have already been diagnosed with a weak pelvic floor, avoid impact exercises and discuss your concerns with an exercise professional. 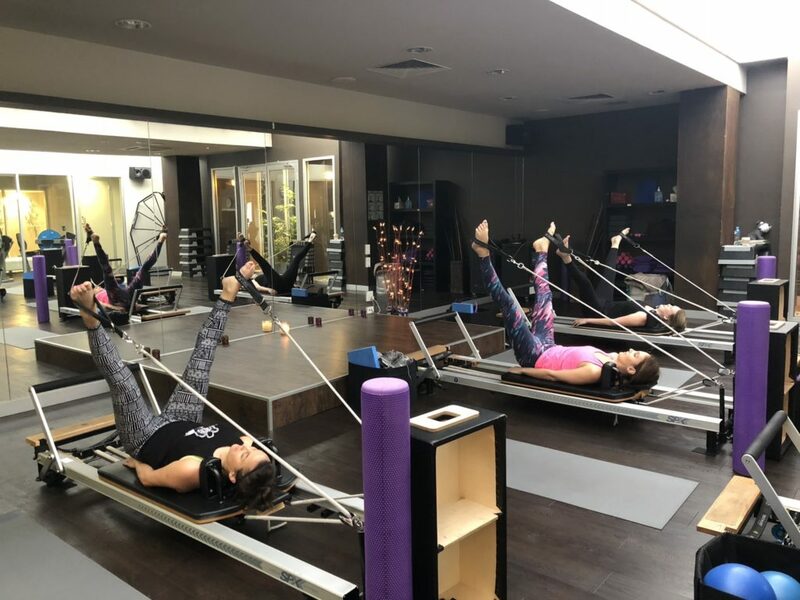 Pilates has a strong focus on how you can activate and gently lift your pelvic floor muscles while working on the deep layer of your core muscles. 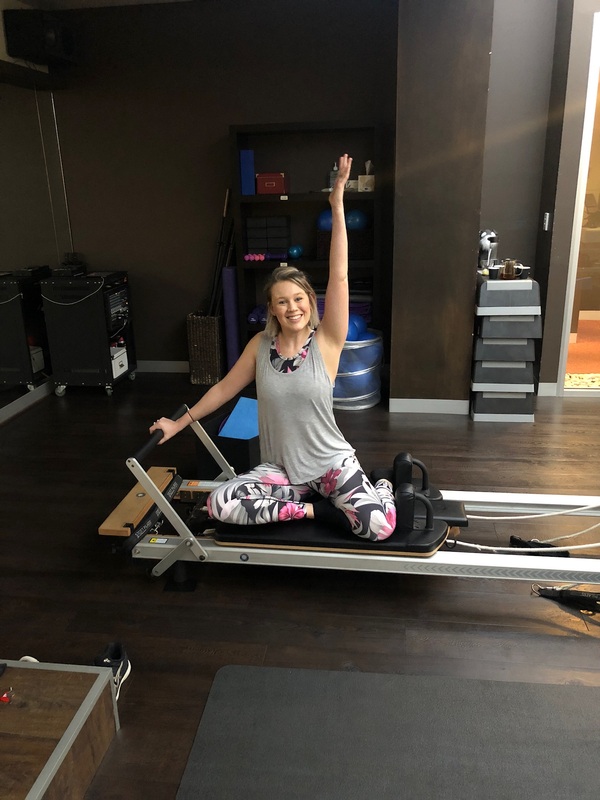 Your regular Pilates practice can help you learn how to properly contract, lift and tighten your pelvic floor muscles, as well as remembering to relax and soften them. It is all about the right technique to get that limber responsive pelvic floor!